When Steve Jobs took the stage to announce the original iPad, he took us through a list of tasks a tablet would have to excel at when compared to a smartphone and computer in order to be successful. And then he sat down in a comfy chair and started tapping on the piece of glass in his hands, walking the world through the future. Though, the future ended up being a little different than what Jobs showed that day. At the end of the keynote, one thing was clear: the iPad was originally thought of as a device for consuming content. It was meant to read books, browse the web, view photos, watch movies, and play games. Then something exciting happened—as developers began creating productivity apps to take advantage of the larger screen, the iPad gradually started to change the way we work. Apps, however, are only half of the iPad’s story of transformation (and something I will discuss in my next Work Beyond Mac column!). The other half, accessories, have placed the iPad in briefcases and on desks across the globe. I’ve long touted the iPad as my favorite computer, for its simple, distraction-free interface combined with portability and battery life. But even so, I’d have trouble getting my work done if not for a few select accessories. This is the gear I’ve come to rely upon to get the most out of my iPad. The iPad’s keyboard is sufficient when typing out short iMessage replies and tweets, but when it comes down to it, it’s not meant for extensive writing. By pairing a Bluetooth keyboard to an iPad, the familiarity of physical keys makes it more appealing to sit down and type out a long email—or in my case, write this article. In addition to more efficient typing, you gain precious screen space normally hidden behind the digital keyboard. A fast keyboard makes it easier for me to write on my iPad—as does the fact that I can only use one app at a time, cutting down on distractions. My favorite, the $100 Logitech Ultrathin Keyboard Cover has been a staple in my bag for the two-plus years. (The new version for the iPad Air 2 is great too.) It’s lightweight, has a battery that doesn’t know how to quit, and its keys feel similar to Apple’s Wireless Keyboard, making the transition from Mac to iPad nearly seamless. Whether or not you spend your day writing like I do, an external keyboard is a must for iPad users who want to start leaving a heavy laptop at home more often. There’s a long list of cloud services to keep our photos synced across multiple devices, including Apple’s own Photo Stream (or iCloud Photo Library for the adventurous). However convenient each service might be, none provide an all encompassing solution. 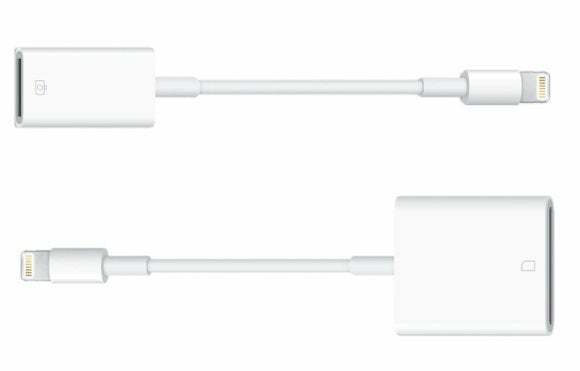 Apple's adapters are $29 each for Lightning devices, but I use them both. In order to transfer photos from my digital camera, I rely on Apple’s SD Card Camera Reader and USB Camera adapters, $29 each. When using an adapter I don’t have to worry about having Internet access, but the transfer process is often times much faster than waiting for photos to sync to the cloud. And yes, I can even sync photos taken on my iPhone to my iPad with a Lightning cable and the the USB adapter. I have mixed feelings about using a stylus for everyday interaction on a touchscreen device. Most of the time an extra tool only complicates an otherwise straightforward task your finger is more than capable of completing. Other times, such as during meetings when typing notes won’t suffice, a stylus is the ideal solution to scribbling notes and illustrations. The pressure-sensitive Adonit Jot Touch is great for drawing. In times of need, I turn to Adonit’s $99 Jot Touch Stylus. The combination of Bluetooth connectivity, an SDK for developers to take advantage additional features (and an impressive list of apps that have), palm rejection and smooth writing experience make it my preferred stylus. But if you’d rather get something more basic—and much cheaper—our buying guide can certainly help. One downside of working from an iPad: Unlike my laptop, there’s no USB port to give my iPhone a quick power boost. In order to get around this limitation, I’ve amassed quite the collection of portable batteries capable of charging both a smartphone and an iPad. Even though the iPad’s battery is more than enough to power me through a day’s worth of normal use, I’m always fearful of being caught with a low battery and a looming deadline. I’m partial to Anker’s products, but I’ve also had success with myCharge and Incipio’s charging solutions. 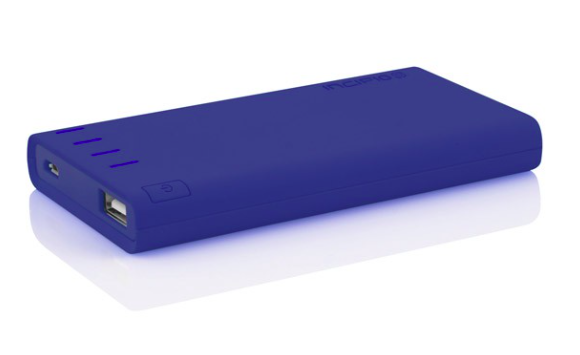 Nonetheless, the nine portable batteries reviewed here are all capable alternatives. Incipio's OffGrid series comes in various prices and capacities, like this $50 4000mAh version that can charge an iPhone or an iPad. With the amount of attention the iPad has attracted over the last few years, companies are constantly looking at new approaches to old accessories. Each release, each iteration, brings a different dynamic to using an iPad as a productivity tool. Between the rumors of Apple preparing a larger iPad for power users picking up, and the recent IBM partnership the trend of productivity tools for Apple’s tablet lineup will most certainly see an uptick in new gear. Long gone are the days of only consuming content on an iPad—it’s time to get to work. Do you have any productivity tools or accessories for your iPad you simply cannot live without? As someone who is constantly looking for a better way to get things done, I’d love to hear from you.